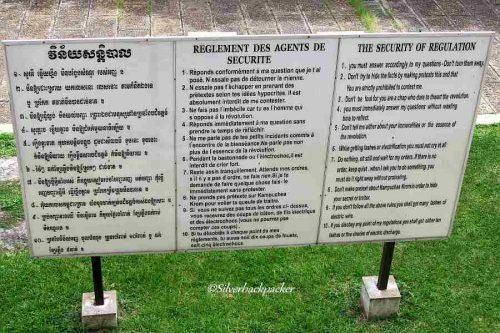 I could still recall the goose bumps I had when I visited the capital of Cambodia which has been a ghost city during the reign of Khmer Rouge regimen. It was even scarier because my hostel was just across the road from the main entrance of the museum. How’s the sound of that? I remember I couldn’t get any decent sleep despite the coziness and elegance of the hostel, I felt I wasn’t alone in each corner of the room. The feeling is too heavy and gloomy. It is a real grim portrayal playing on your mind when you come and visit the museum. The museum has all its original and untouched remains to remember them, like in order to heal a wound is to remember how painful it was. The broken skulls and bones, the torture materials, and the photos and the hand written diaries are all still there. I didn’t hire any tour guide, everything is self-explanatory. No need for a historian to understand the gravity of the effect during Khmer Rouge at that time. Pol Pot’s victorious dictatorial leadership didn’t last long. But who can forget? It still haunts the surroundings of this former school who became the eye witness of the cruelness of the genocide masterminds. This place is sanctified and silence is observed and we must pay respect. Originally a school, the classrooms were converted into a prison by the revolutionaries who took control of it. 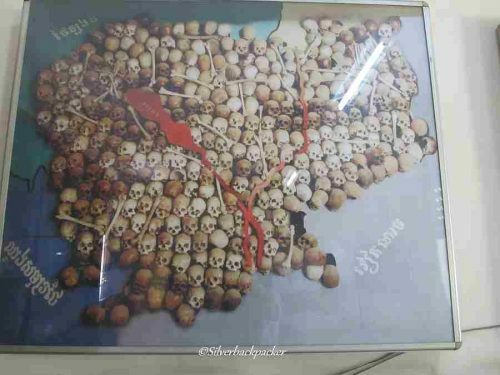 Anyone who was thought to be a traitor was sent here to be tortured for information and then sent to the Choeung Ek Killing Fields to be killed. Everyone was a potential target for the Khmer Rouge, especially the upper class and learned class from teachers, lawyers, doctors, and right down to the peasants. 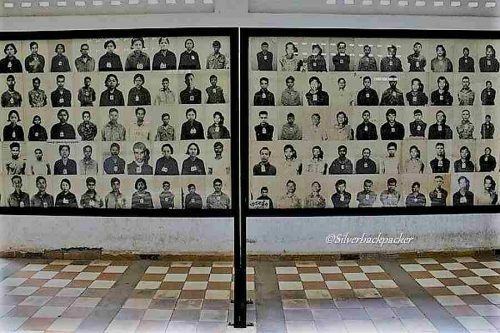 The Khmer rouge photographed and documented every person that passed through Tuol Sleng Prison. Today, their photos are on display with their haunting black and white faces staring right into your eyes. The scent of the “calachuchi” flower gave me a warm but lonely welcome as I slowly paced on a very strange environment of the museum. It felt heavier than being heartbroken for the first time. The four graves lay on the ground before their photos, on the floor, bloody, helpless, killed merciless as if with out any right for life. Beside it is the former gymnastic rope or whatever purpose is supposedly for recreations and sports, these wicked men turned into slaying and drowning their own fellow Cambodian to death and was forced to confess something they haven’t even committed. It was like three two-storey buildings. 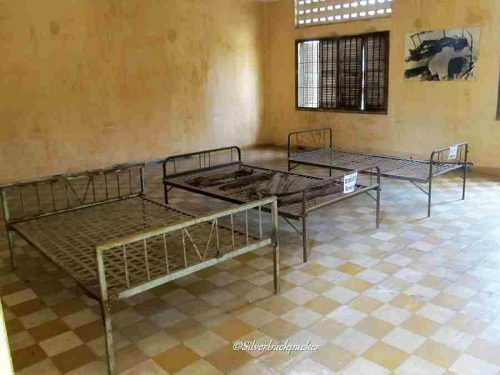 On the second floors, is surrounded by barb wire to prevent the prisoners from jumping off aiming for a sudden death rather than to suffer from untolerable tortures. This building is the worse one. They had a very small mini prison inside the rooms like dungeons. You can imagine the prisoners were held like small matches in a box, standing day and night and die in sickness, unbearable pain or hunger. The groundfloor served as the torture rooms. The strange silence of the empty rooms is equivalent to the screams of those who were murdered and suffered in the arms of these rebels. The broken beds are there and the folded hammers and rusty cups and plates remained untouched. Some photos of the victims were posted in each room too. I couldn’t find my way out. I honestly felt butterflies in my stomach literally, I felt nauseated. Sad, angry, questioning, craving for justice, all that stuff came into my mind that time. Moving on to the next building was even more interesting to see these morons took the real photos of their victims before the headed off to killing fields. Regardless of age, race, religion, status on society, they pull the trigger and kill bunch of people at the same time. I could imagine Cambodia’s population went down significantly that time, leaving the healthy and what they felt “useful” to their b8llsh*t revolutionary mission or whatever they were looking for, on the ricefields and working areas for a forced labor. Merciful it was for the families, relatives and victims themselves. Each of their photos and hand written diaries and confession were on the walls of the buildings, alongst are broken skulls and teeth and some other remains. 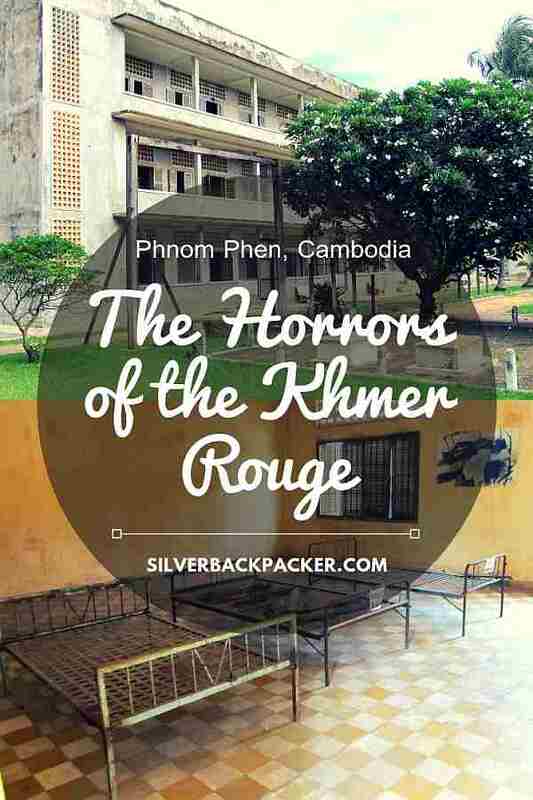 Their blood and torn clothes are meticulously kept in a wooden glass drawer with the materials used for the forced labor that would remind of the cruelty of the Khmer Rouge. Fresh flowers, candles and silent prayers to utter for their relatives: monks, locals and tourists visit this place every single day. I wonder if it will be fair enough to see those leaders of the said regime be found on the walls being tortured as well, or being hanged just to see how they look like being treated less than of a worthless animal. Yet their photo smiling innocently on the wall just added to my lost temper and tightens my clenched jaws. It is just amazing how Cambodian people have been trying to recover. Such hardworking and forgiving people. As what they practice is to love humanity and have peace. I know this isn’t the side of travel that everyone wants to see, but it is so important that we take the time to check these things out when we travel, it is history and the truth. While it may be more than some can bear, we can only prevent it happening again by learning about our past and educating everyone about these horrors in the future. 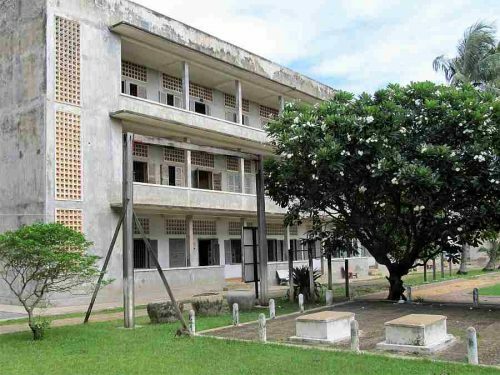 The Tuol Sleng Genocide Museum is something you should not miss when you visit Cambodia. 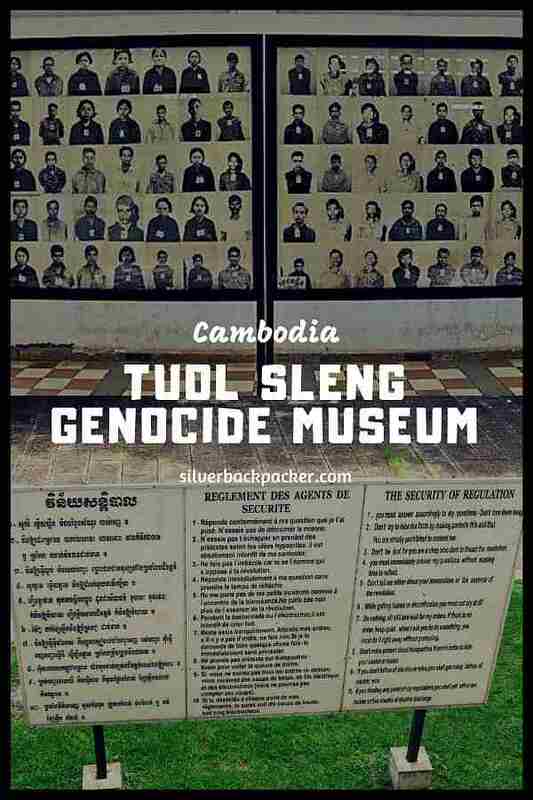 If you have visited the Tuol Sleng Genocide Museum in Phnom Phen let us know your thoughts in the comments below. 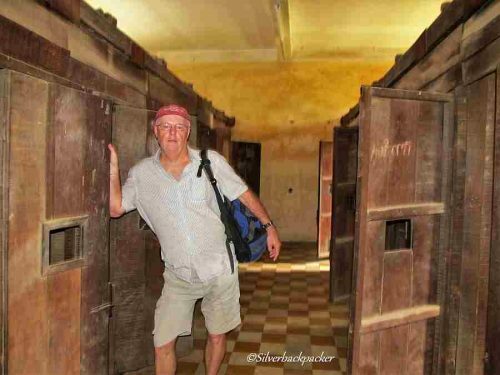 Did you like “Tuol Sleng Genocide Museum | Cambodia” ? If so then please share this page with your friends.